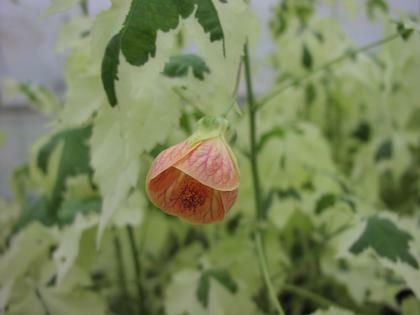 A flowering maple known for its unusual leaf variegation. Leaves are large and pale, almost white with occasional green splotches. Salmon orange pendulous flowers are an added bonus.